One night that instinct lands him in trouble when he encounters Sarah, a young woman hunted by a demon born of nightmares. Seb attempts to intervene, only to nearly get himself killed in the process. Before she passes, Sarah transfers something to him, an arcane knowledge that gets buried deep into his subconscious. 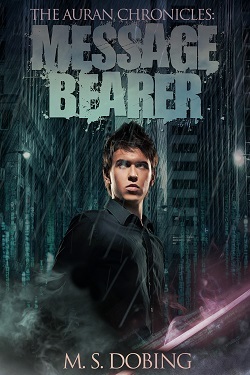 Seb’s life takes on an unexpected turn when he is told he is a Latent, a fledgling mage able to manipulate the very energies of reality to his own devices. He is brought into a supernatural world within our own where the Magistry and its allies engage with the demonic Sheol in a conflict that has traversed entire universes. A world where he, and he alone, carries the message that will alter the conflict forever.